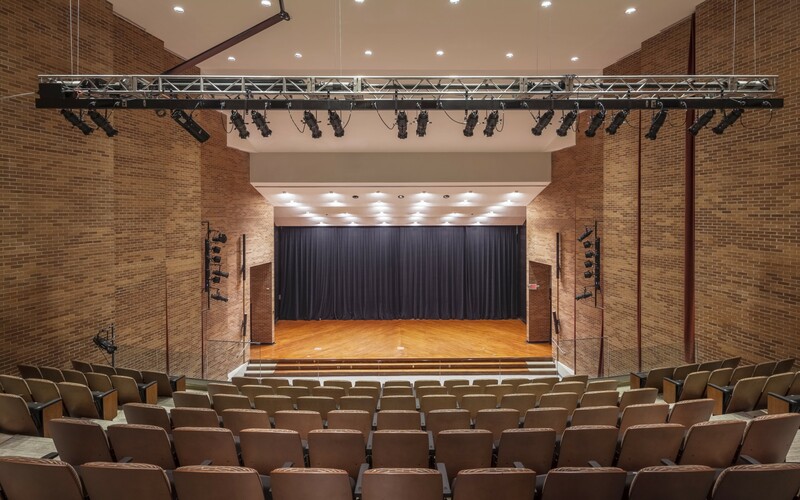 The University of Arkansas at Little Rock wanted to turn the Stella Boyle Smith Concert Hall into a flexible space for music, drama, lectures and more. The school decided to convert the lighting system above the seating area to LED. 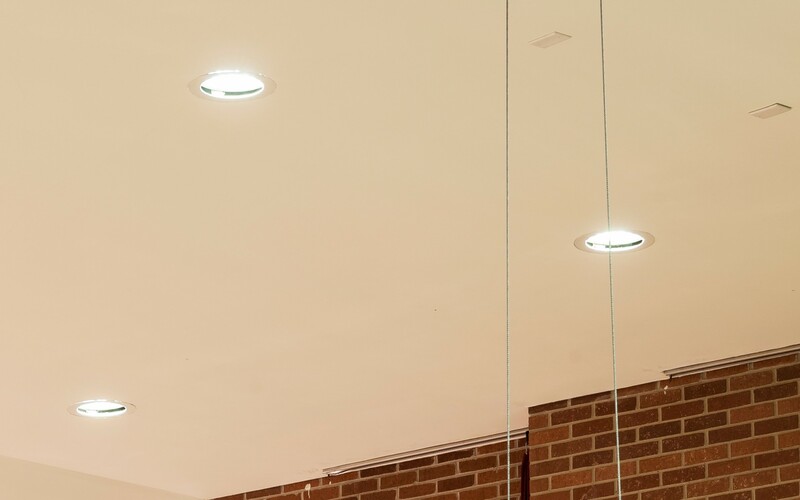 To limit renovation work, new LED luminaires had to fit existing holes in the ceiling. A warm 3000K color temperature and 30° optic was used. 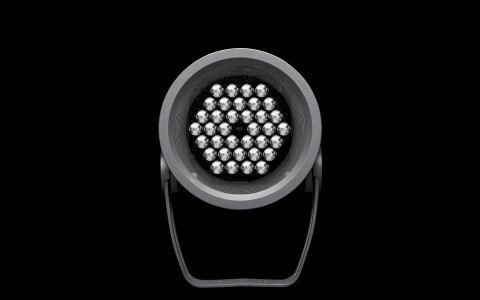 With full dimming down to 1%, the luminaires allow the concert hall to host a much wider range of events. 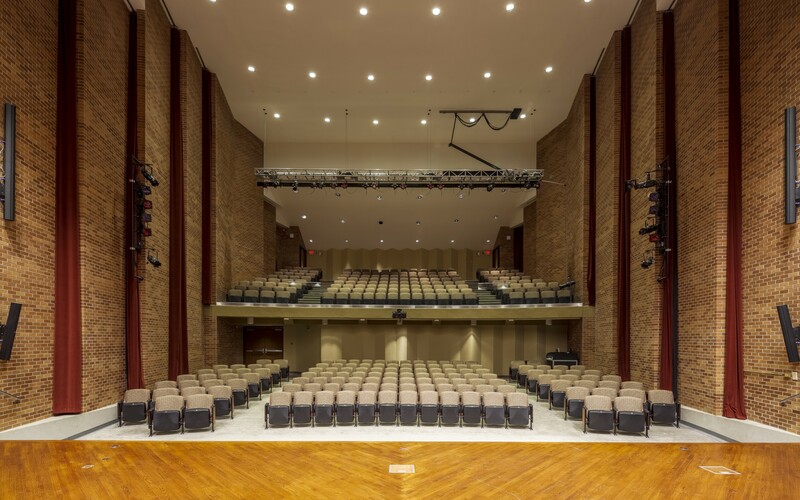 Lighting Design: Curtis H. Stout Inc.
Audio-visual integration experts Curtis H. Stout, Inc. used Lumenpulse luminaires to improve light quality and boost flexibility at the Stella Boyle Smith Concert Hall in Little Rock, Arkansas. The LED fixtures and dimming control save the school a lot of money on lamps, electricity and maintenance. 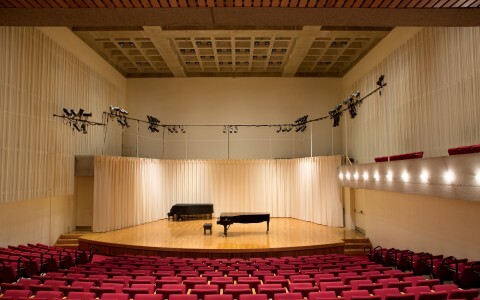 How do you turn a concert hall into a flexible space for music, drama, lectures and special events? At the University of Arkansas at Little Rock (UALR), the answer was to convert the Stella Boyle Smith Concert Hall to LED. 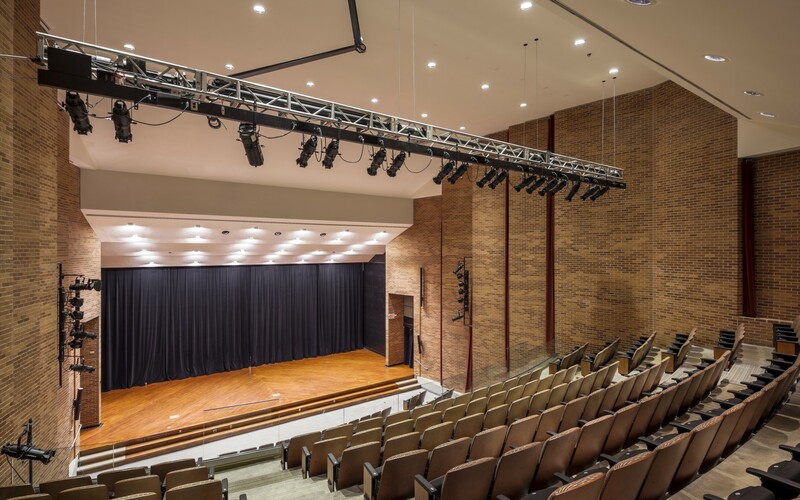 The school turned to system integration experts Curtis H. Stout, Inc.
"The main goal was to create more foot candles on the seating area, and to have it warm and even," said Gene Gephardt, theatrical lighting designer at Curtis H. Stout. "But we also needed to add more theatrical capabilities to the space and improve maintenance since the ceilings were 30 feet high." 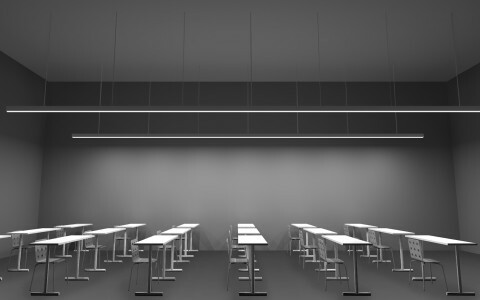 New LED luminaires, however, had to overcome a significant challenge: they had to fit existing holes in the ceiling. 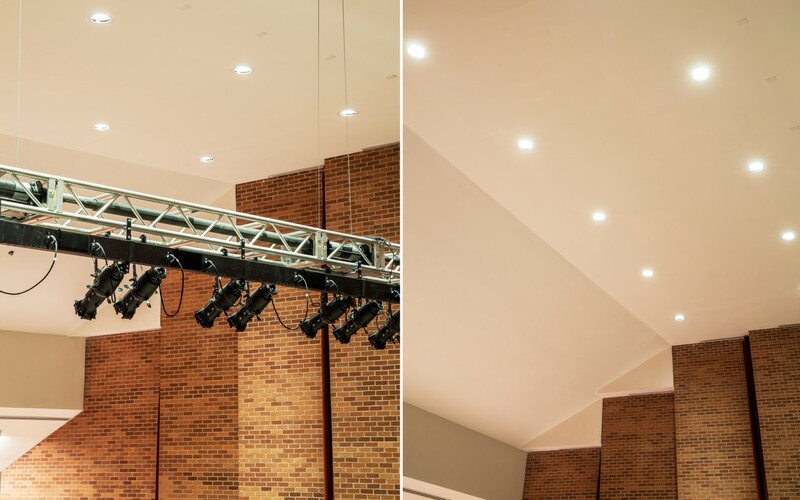 Curtis H. Stout opted for Lumenbeam Large luminaires, which feature a circular profile, allowing them to mesh seamlessly with the existing infrastructure. The firm used a warm 3000K color temperature and 30° optic to illuminate and brighten the entire seating area. "The Lumenpulse Lumenbeam Large was perfect for this application. It fit the existing holes in the ceiling and gave me a broad range of lenses and great delivered lumen output. There's now a lot more light than before, and it's even across the whole space," Gephardt said. 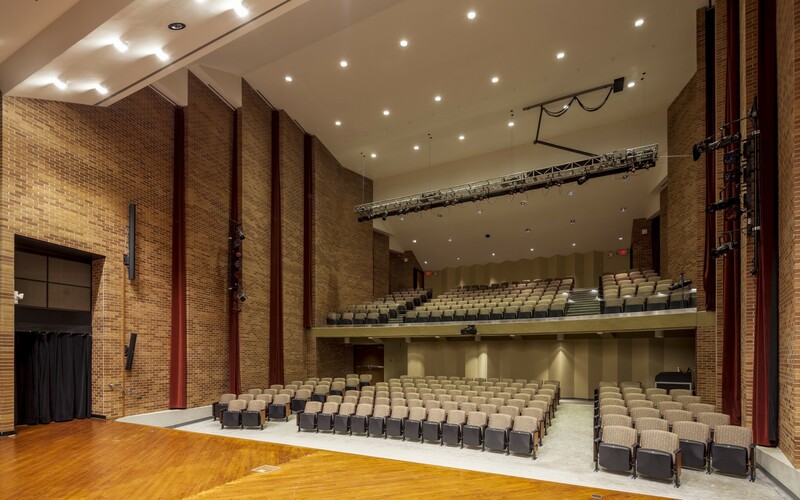 With full digital dimming down to 1%, the luminaires have allowed the concert hall to host a much wider range of events, including film screenings, guest lectures and media presentations, furthering cementing the space's central role at UALR - while also lightening its maintenance load. "The LED fixtures and dimming control save the school a lot of money on lamps, electricity and maintenance," Gephardt said, adding that there is also a more immediate impact. "The dimming is beautiful, and the lighting is so much better than what they had. It just feels good to be in the room."